What can we Buy the Person who Already Has Everything? Christmas is rolling round the corner, and as usual, we’re stuck trying to decide what would make the perfect gift for our loved ones. The trouble is, thinking of the ideal gift—something useful, something they don’t own already and something they’d truly appreciate—is tough. It’s tough because by the time we hit adulthood, and leave our student days behind us, we actually have pretty much everything we need. As children, we’d write lists to Santa detailing all the shiny new things we admired at the stores. As adults we don’t need to wait until Christmas—we can simply buy what we want with our paychecks. If we know our loved ones well, it’s not hard to think of things they’d like or enjoy. Yet as I got older, I struggled with this. I struggled because, whilst there wasn’t anything inherently wrong with the choices I was making, I realized that the recipients didn’t need the stuff I was buying. As someone who considers herself to be a conscious and responsible consumer, this didn’t sit well with me. I care about the planet and want to minimize my impact, yet I was joining the consumer treadmill and wasting valuable resources buying things, simply to fulfill a social obligation that comes around once a year. I was encouraging waste and over-consumption. Gift-giving should bring joy, but it left me feeling empty. It wasn’t just the gift-giving I struggled with—it was the gift-receiving, too. If I don’t own something or upgrade something, it’s probably because I don’t need to. The gifts I received, whilst well-intentioned, weighed me down. I didn’t know what to do with the extra stuff. Should I keep unwanted gifts out of obligation? Store them away, knowing that I’d never really use them? Try to push the guilt aside and donate them, knowing that loved ones had spent time and money choosing something they thought I’d like? I didn’t want to spend the weeks after Christmas listing possessions on online auction sites or making trips to the thrift store. I didn’t want to seem ungrateful—there had to be another way. My first solution was to denounce present-buying altogether. I didn’t want gifts, I’d had enough—and I wasn’t giving any either. It seemed simple, but it caused confusion, hurt and resentment amongst my loved ones. I realized that for many of them, gift-living was important. It was their emotional currency—how they showed their love and appreciation. They didn’t feel right not giving gifts, and they certainly felt unappreciated when they didn’t receive anything themselves. How could I show those dearest to me that I thought of them, valued them and cared about them at Christmas, without buying a bunch of stuff? Actually, it turned out to be far simpler than I thought–-choosing the gift of experience. Experiences last, even when they are over. They create memories, and memories stay with us. Stuff gets upgraded, replaced and forgotten. Experiences become part of our identity. Experiences are how we connect with others, how we learn, how we challenge ourselves and how we grow. Experiences give us things to talk about with our friends—stories to tell. Experiences are how we truly feel alive. So, I took my nephew on his first-ever outing to the cinema. I took my niece to her first theatre performance. I spent time with them, got to know them a little better and connected with them a little more. 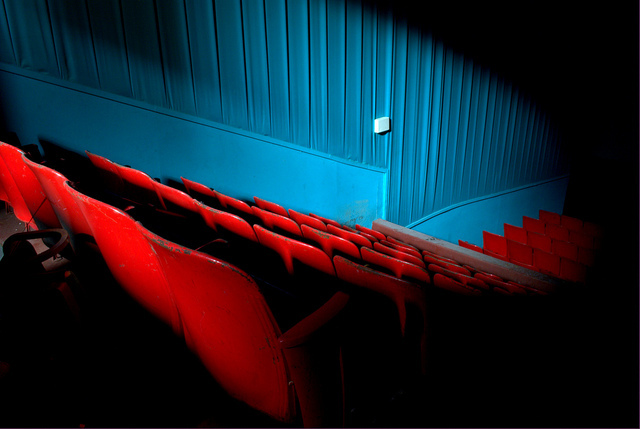 I still remember my first childhood trip to the cinema and my first trip to the theatre, but I don’t remember any of the Christmas presents I got that year. I’ve taken time to holiday with my parents—enjoying walks in nature, long conversations and memorable meals in great restaurants. We live in different countries, so being able to spend time in each others company, and create lasting memories, is even more important to me now that I don’t see them as often as I’d like. It means far more to me that a nicely wrapped package ever could. For my husband and I—finding things to do together is a way to nurture our relationship and reconnect with one another. Being able to spend quality time with the person I love is priceless. What to buy the person who has everything is not a problem to be solved. We just need to look at the situation a little differently. Want to give something that a loved one will truly treasure? When it comes down to it, we don’t remember the stuff we’ve owned. We remember the people we’ve loved, the experiences we’ve had and the memories we made along the way. Why I’m Opting Out of Xmas. 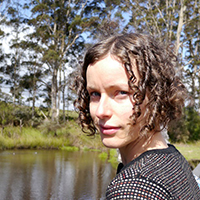 Lindsay Miles is a writer, blogger and workshop-facilitator with a love for people and the planet. She has a passion for living a simple, zero waste life and a burning desire to inspire others to live fun, fulfilling and meaningful lives through building community, sharing skills, collecting memories and doing stuff—not buying stuff. She is the author of “That’s a Wrap: Tips, Ideas and Inspiration for Living Plastic-Free.” Connect with her on her website, through Facebook, Instagram and Twitter.